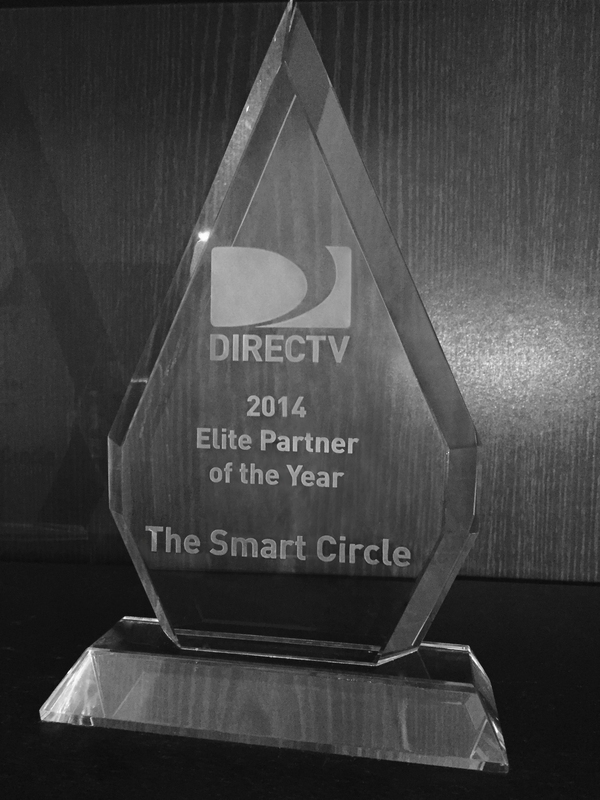 Smart Circle has been named DIRECTV’s 2014 Elite Partner of the Year! With over 330,000 new customers and installations for DIRECTV in 2014, Smart Circle surpassed all other DIRECTV dealers in customer acquisitions. This award recognizes Smart Circle, not only for customer acquisitions, but for excellence in customer service, and overall value to DIRECTV. Smart Circle was also named DIRECTV Consumer Electronics Labor Partner of the Year in 2013, and the DIRECTV Partner of the Year in 2012. Michael Meryash, CEO of Smart Circle, was presented with the 2014 Award at a special meeting in February during the Super Bowl celebrations. “Being recognized year after year by DIRECTV is an incredible honor for Smart Circle, and a reflection of the continued hard work and commitment from our sales network. Smart Circle’s Independent Corporate Distributors and sales representatives put their hearts in the Smart Circle-DIRECTV program every day. It’s the ICDs that are on the front line for customer acquisitions, helping create phenomenal growth for the entire program” said Meryash. We thank every person working on the Smart Circle-DIRECTV program, and look forward to continued growth and success! By helping clients, like DIRECTV, achieve their customer acquisition, brand awareness and revenue goals and simultaneously creating entrepreneurial opportunities in sales, Smart Circle has become a worldwide leader in face-to-face marketing and outsourced sales.